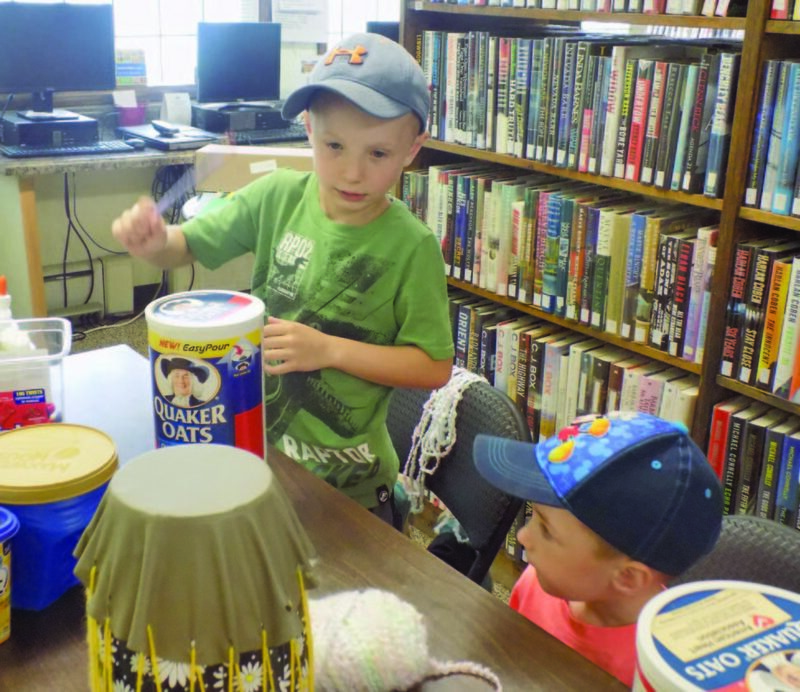 PALMER — Several children’s activities at the Richmond Township Library Monday centered on guitar shapes and percussion sounds rather than reading from pages, although books, as usual, were a part of the day. Township librarian Jan St. Germain led Monday’s session in the “Richmond Township Library Rocks” summer reading family activity program. Entitled “Let’s Make Some Music Instruments,” participants made drums out of objects like oatmeal canisters and mayonnaise jars. They also created egg shakers and paper guitars, and listened to a story. The summer program takes place every year. 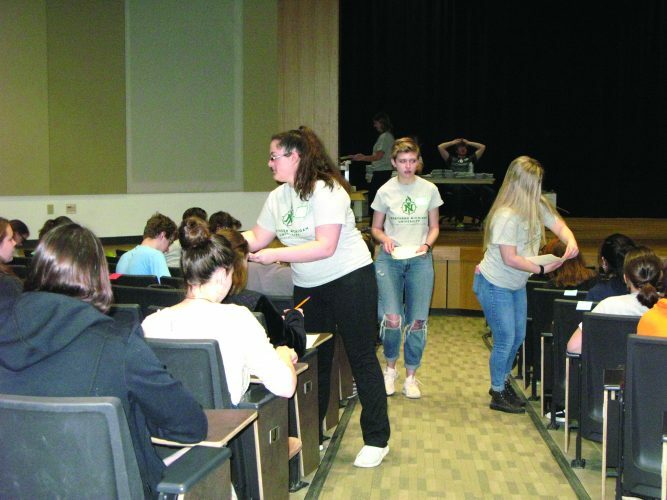 “Our theme this year is music,” St. Germain said. The June 18 session was called “The Sound of Rainsticks,” but Monday’s program took place on instrument-making day. After about 10 minutes, the guitar designers switched to another station, giving participants a variety of activities in which to take part. They also could take their personalized instruments home. It’s not that the kids needed more paper guitars at home. Instead, the educational activities provided them a fun way to spend part of their summer days. The parents also are always helpful, she said. 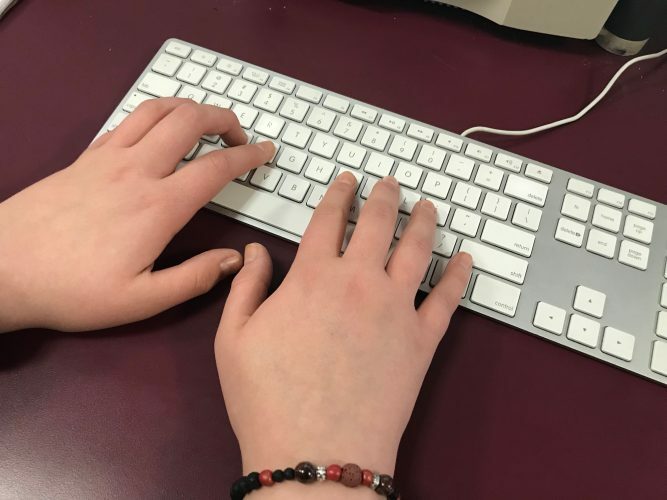 “It’s just kind of a nice little thing for the kids to do,” St. Germain said. Monday’s instrument-making program also had a ring of familiarity to it for the kids. “I know what guitars are,” exclaimed Gunnar Saari, 6, of Palmer, who was at the event with his brother, Carson, 3. 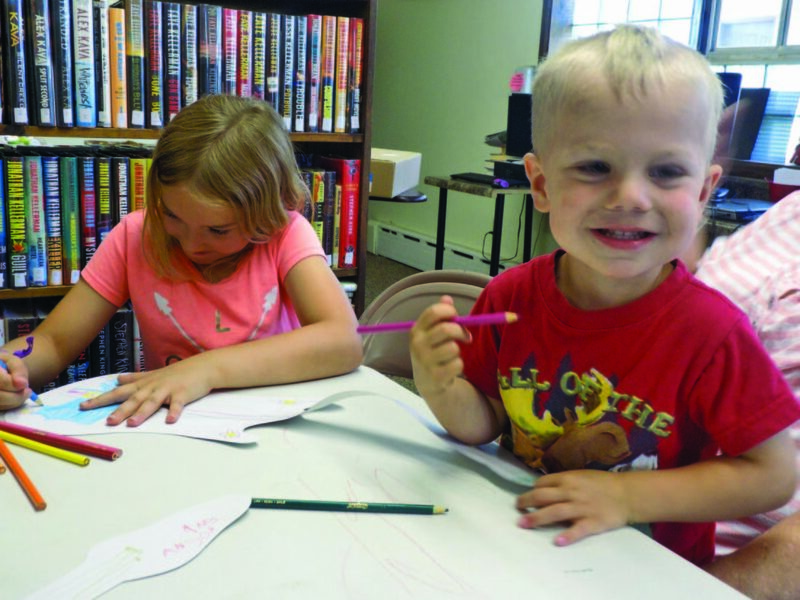 Their grandmother, Gladys Sulskis of Marquette, has taken the boys to the Richmond Township Library on more than one occasion, including all last summer. “He likes to be involved in things and do a lot of activities,” she said of Gunnar, who she noted was more outgoing than his younger sibling. Monday’s event had a little live music as well, courtesy of 10-year-old Simon Jaklin, who lives outside Palmer. Simon played a few acoustic songs on his guitar — the instrument that helped further his musical abilities. “It all started when Santa got me a guitar for Christmas,” he said. 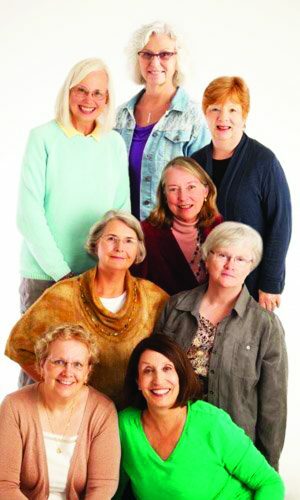 Next Monday’s program, “Bells and Bracelets,” will take place from 11 a.m. to noon. “DIY Flutes” will run from 11 a.m. to noon July 16, with the summer’s last session, “Music Jam and Party at the Township Hall,” running from 11 a.m. to noon July 23. For information and to register for the summer reading events, call 906-475-5241 or check out the library’s Facebook page. All youngsters are welcome, but children under age 7 must have an adult caregiver in attendance.